Home » Batanes , department of tourism , it's more fun in the Philippines , Phil tourism slogan , Zamboanga » WOW! It's more fun in the Philippines! 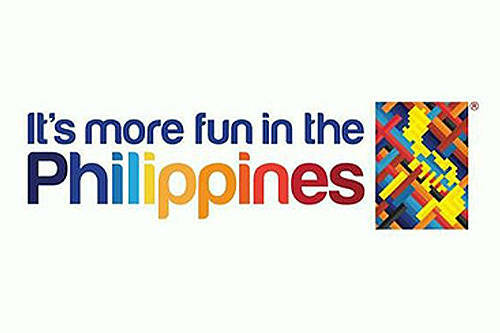 Department of Tourism has recently launched it's new campaign slogan It's more fun in the Philippines. But just after it's launching, on the same day it was launched, the same campaign slogan, as used 60 years ago by Switzerland, also appeared. A copy-cat or mere coincidence? I do believe the phrase 'It's more fun in the Philippines'; with the magnificent Batanes group of islands from up north, a province with its welcoming and trusting people (I remember they have this "honesty" store), a province with zero crime rate (from what I've heard at the time I was there, at least), to Zamboanga del Norte down south (the farthest I've been, that is), a province with friendly and generous people, with abundant fresh sea foods; with our country's varying but rich cultures and beliefs; with our beautiful beaches; with our lovely, cheerful and hospitable people; definitely it's more fun in the Philippines! But I still prefer Wow Philippines as a slogan, it's positive, it appeals to people's curiosity, the word 'wow' in it says it all. When people hear the word wow, people tend to ask 'what is it? ', they tend to get curious and would want to try or check it out. Well, this is just my opinion; whatever our tourism's slogan is, I would still enjoy going around and seeing all of the Philippines. Let's all visit and explore our country, let's all be PROUD of the Philippines.